9x12, xxi + 134 pp. In none of his sonatas does Leclair display a more sensitive feeling for melodic and harmonic material than here in his second book (opus 2). 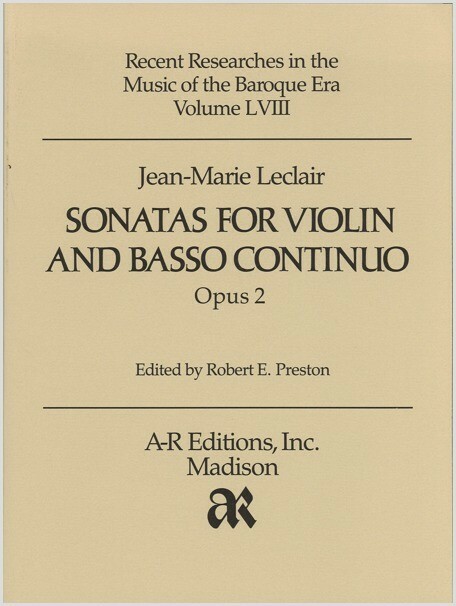 While Leclair's third and fourth books of sonatas (volumes B 4, B 5, B 10, and B 11 of this series) make great demands on the technical abilities of the performer, such a concern is not apparent in the second book, where five of the twelve sonatas are written for alternate performance on the transverse flute. Although less idiomatic, these earlier sonatas are perhaps more expressive than the later ones.